Venue for second weekend of the competition to be confirmed before the tournament begins. Boxing: Contingent on entries, details to be announced after the draw. Re: Novice boxers – Any boxer who has had previous martial arts experience must be brought to the attention of the organizing committee. Boxers with 0-7 bouts are not eligible to compete as Novices if they have won third-level, provincial or National Novices Championships. These boxers will be classed as Intermediate. This is also the case for boxers with 8-25 bouts, if they have won third-level, provincial or National Intermediate Championships. These boxers will be classed as Senior. Qualifying Criteria: 1. Competition is open to all student boxers who are fully registered and hold a student card for the institution with which they are internally registered for the current academic year, Oct 2014 – Sep 2015. 2. Students must be pursuing a course of study that leads to an award ranked at a minimum of Level 6 on Quality and Qualifications Ireland’s (QQI) National Framework of Qualifications, or minimum Level 3 on the Northern Ireland National Qualifications Framework. 3. Boxers must have a boxing card from a club currently affiliated to the Irish Amateur Boxing Association. 4. Boxers born 1975-1996 inclusive. Important – Entries will only be accepted from third-level institutions’ Sports Officers / Students Services Staff, or from secretaries of recognized third-level boxing clubs. Boxers can only compete with the permission of their academic institutions’ sports officer. Entries are subject to vetting and it is a condition of entry that all competitors and officials shall have signed the IABA Waiver/Members Acknowledgement Form. Boxers must present themselves clean shaven and advise details of any medication they are taking or have taken in the preceding 4 weeks. All body piercings must be removed before attending the weigh-in. Hair clips cannot be used. For females long hair must be contained by either a hair net or a bandanna under the head guard. Facial hair, beard or mustache, is not permitted under any circumstances. Boxers must have one red and one blue vest and head guard. Coaches must wear tracksuits and trainers at all sessions and endeavour to set a high standard of hygiene in the corners. Gum Shields: Red and Orange colours are prohibited. For details on how to enter this tournament, please register your interest by email to iatba2010@gmail.com and information on the entry procedure will be provided. I.T Tallaght Boxing Club are inviting third-level and club boxers to participate in their upcoming tournament on Dec 9th at the premises of their parent club, St. Mary’s Tallaght. This is a great opportunity for competition before the Christmas break and the Championships in the new year. The Irish Amateur Third-level Boxing Association (I.A.T.B.A.) 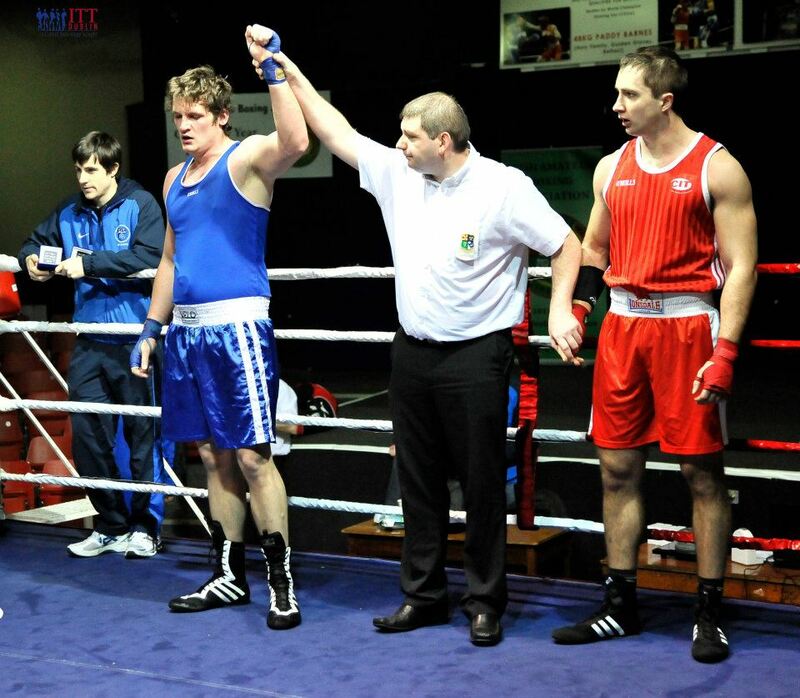 are now inviting eligible student boxers to enter the 2014 Irish Third-level Championships. 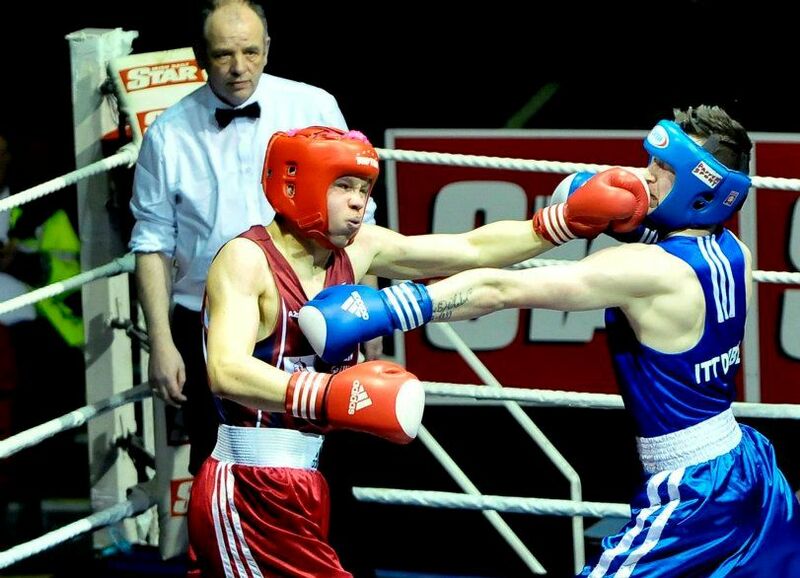 The Irish Amateur Third-level Boxing Association will be hosting the 2013 IATBA Intervarsity Open at the National Boxing Stadium, over the weekends of February 23rd, 24th & March 1st, 2nd. The tournament is open to male and female college and university student boxers from Novice up to Senior standard. All college clubs/boxers wishing to enter should complete the competition entry form. Then email their entry form to their institution’s Head of Sport (Sports Officer), who should then forward the entries to iatba.2010@gmail.com. Entries must be received by 5 pm on Wednesday, 20th February. The entry form is available to download. An €10 entry fee per boxer applies. A cover charge for all spectators of €5 per day will also be in operation. Colleges must also return a completed IATBA Member Institutions form. Colleges which have not yet paid their €50/£40 IATBA affiliation fee for the year must do so at the initial weigh-in. All queries in relation to the Boxing Intervarsity can be forwarded to the IATBA, via email at iatba.2010@gmail.com, or by direct message to our Facebook page, https://www.facebook.com/IATBA.